An Uber self-driving car in Tempe, Arizona has struck and killed a pedestrian, according to local TV news station KNXV. "The Uber vehicle was reportedly driving early Monday when a woman walking outside of the crosswalk was struck," KNXV reports. Tempe Police say the car was in self-driving mode, according to the news channel's report. 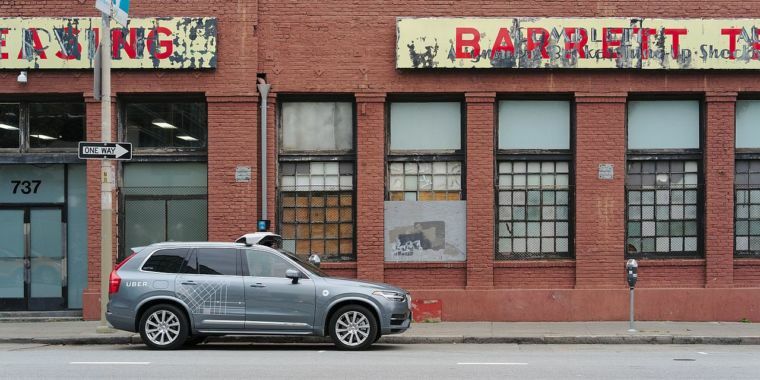 Bloomberg reports that Uber has suspended its driverless car program nationwide while it investigates the crash. There are hundreds of such vehicles being tested around the United States by Waymo, Cruise, Uber, and other companies.